This is an Advanced meditation that requires your intention and willingness. This is the 20 minute hour version. There is also a longer 60 minute version. 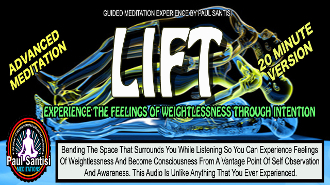 Expereince the feelings of weightlessness while in a state of consciuos observation. This audio is unlike anything that you have ever heard.